1857; the event known till date as the Sepoy Mutiny by a fairly large segment of our population. Even those who refer to it as a War of Independence call it a spontaneous uprising; thanks largely to the incorrect narrative of the war written and recorded by the English, and dutifully followed by Indian Historians inspite of pervasive evidence to the contrary. Even the most balanced of books on the national movement refer to the presence of some form of conspiracy, but leave it at that, saying no proof exists. Surprisingly, they did not need to look any further than an existing book – Mazhaa Pravaas – an eyewitness account of the events that lay bare the reality. I have read its English translation, so am aware, and recognize the need for an honest investigation into the reality of 1857. The current book under review is a truly commendable start in that direction. This book goes much further than that one single source stated above; to prove its point, it sources innumerable bits of period evidence – EEIC records, letters and statements from before, during and after the war; British Govt. Letters and records, books by Englishmen who fought in the war; British Parliamentary proceedings, Indian Books – official as well as individual, communication letters of the so-called “rebels”, and much more. This solid supporting proof has been extremely well documented in the Bibliography and Appendix, and weaves a web of the intricate nature of the entire war plan. The book starts with the period prior to the war, and traces the rising resentment against the British on the basis of Religious, Economic and Political parameters. This part, though not known to many Indians, is pretty well known and extremely well documented by Indian Historians – although Western Historians and people still cling to the idiotic belief that British Rule was good for India. It looks at the planned and systematic destruction of the Economy, and the hardships faced by Indians. It looks at the rising anger due to this phase of the British Rule, and the total lack of morality of the British. Most critically, this is the first book to explicitly state that the English Civilization was less advanced culturally and socially than the highly developed Indian Civilization. The nearest anyone has come to such a clear statement has been Shashi Tharoor, who bluntly called the Indian Civilization as one being a highly advanced civilization in an advanced state of decay. Next, the book looks at 2 critical plans of the British: to Christianize the country – the entire length and breadth of the nation. It provides categorical proof of the plan to attack the religious foundations of our nation, which was driven from the highest levels. The second abortive plan was a suggestion to raise a European element in the Indian Population. To those of you to whom this sounds fanciful, please take a look at some other colonies of the British as confirmation. What is more, the book leaves no doubt that 1857-59 torpedoed both plans permanently. And that is how we won the First War of Independence – despite having lost it on the battlefield. The main thrust of the book is the circulation of Red Lotuses and Chapaties just before the events of 1857. These circulations went on for nearly one year. Furthermore, they were reported only from the areas in which the so-called mutiny occurred. Not only that, there has never been any repeat occurrence of these rotis and lotuses before, or since 1857. And, despite this, few people have given credence to these events – despite the fact that the reverberations of these lotuses and rotis reached the British Parliament, and caused a comment – an acerbic comment and a warning from no less a personality than Benjamin Disraeli. What did the lotuses and rotis have to do with war? Read the book to find out! Unlike other reviewers, I am not going to be the one to spoil your fun! The book traces the entire war from start to finish in a fascinating narrative, engaging and deeply absorbing, and lays bare several historical inaccuracies – using, by and large, sources from the English themselves! The alliances between hindu and muslim rulers, as well as active participation of the entire people is well covered and proven, laying well and truly bare the claim of this being a soldiers’ war. The total lack of humanity in the English is brought out in a shocking series of genocides carried out by the English forces, when entire villages were destroyed, and its inhabitants brutally murdered as retribution for the war. This is supported by documented evidence from a multitude of sources. The Genocide of Indians – which no one among us knows – goes against every grain of civilization, and humanity – and destroys the British (and, by relation, western) homilies of being a more civilized nation. The impact of the Genocide at Jhansi is even supported by a congratulatory letter of the English. This was a planned and targeted attack on the civilian population, designed to kill the support for the war from the local population. The inhuman strategy worked – it took more than 7 decades for the people to rise again. It also explains why The Mahatma and other leaders were wary of an uprising – it would only have led to wholesale slaughter of the population. The English proved that, as late as 1919, they had no compunction in killing unarmed and peaceful civilians. The real tales of the murders will jolt your heart, and shock you into numbness, so brutal were the massacres, and so terrifying their import and inhumanity. Till the modern day, no one in the west recognizes these uncomfortable realities, and instead pontificates to the rest of the world on the aspect of civilization! So wondrously civilized; that they received, and followed orders to use their own families as human shields in the course of the war – something which is unknown to the Indian People in our entire history. 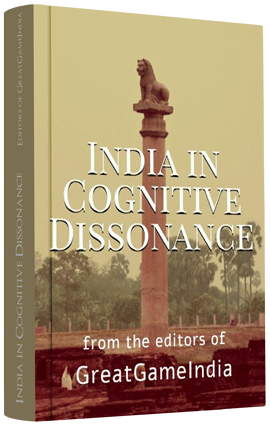 The book traces the events of the war, and leaves no doubt of the scale of the entire war, which had large parts of India aflame, and up in arms in a total uprising against British Rule, and looks at how the British came within an inch of losing India. Not only that, it also proves the Russian interest in India, as it was willing to help Indian Rulers in their efforts, and the British Worry of the same. This is the precise worry that led, 50 years later, to the British actively supporting, planning, aiding and abetting the partition of the nation. The book also has you laughing at the ineptitude of our great, civilized geniuses who taught us civilization as they try to apprehend Tatya Tope, whose stupendous planning and bravery will bring a smile to your lips, a prayer to your heart. All in all, a must read book, one that successfully challenges pre-conceived notions about the British Rule and its benefit to India, its overall inhumanity and cruelty, as well as proves beyond all doubt that without 1857, 1947 would not have happened. In the end analysis, it was the events; the brutal murder of an entire people in villages after countless villages, including men, women and even children – that bludgeoned an entire nation into shocked, tortured and silent obedience. Book review by Vishal V Kale. Vishal V Kale is an MBA with 16 years experience, an avid reader of primarily Indian authors and an active blogger who has reviewed more than 100 books on his blog. Vishal writes primarily on India and Indian issues, successes, failures, culture, books and achievements. He resides in Indore, and is into Sales and Marketing in Telecommunications. He can be found on Twitter, Facebook and his blogger blog reflectionsvvk.